Item Number: 12-5-31LG 17337 Actual Weight: 13.5 lbs. 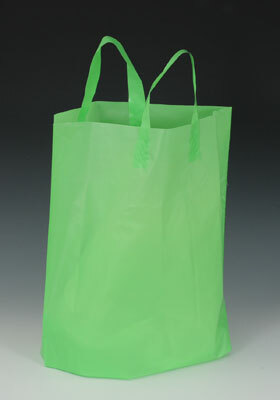 Lightweight, bottom gusseted bags have soft loop handles to make carrying items easier. Wide bottom gusset allows bag to stand without need for a cardboard insert. Contains 20-30% recycled material.